Color palettes can be created from images. 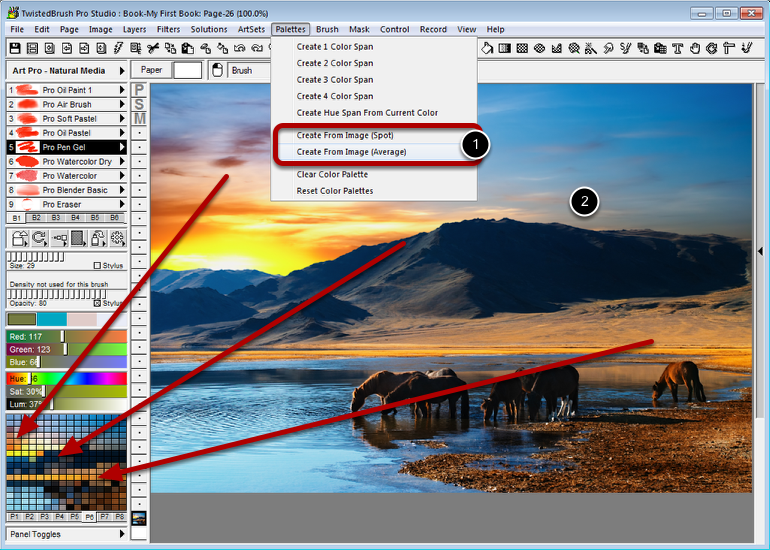 Select either Create from Image (spot) or Create from Image (average) from the Palettes menu. Colors are sampled from the current image building a new palette of colors.